The R5 Transom mount is the ultimate in strength, rigidity, and durability. The aluminum alloy construction and stainless steel hinge pins make it one of the most powerful and durable trolling motors available. Put the control at your fingertips with the R5's ergonomic extending handle and a durable multi-position angle adjustment aluminum mount. The R5 transom mount features aluminum alloy construction with a rugged powder coat finish. Get precise variable speed control and longer run time with Digital Power Management. This technology monitors your motor's amp-draw, heat dissipation, output, and other vital parameters, resulting in a cooler-running, more durable motor with an extended service life. Digital Power Management is a self-contained, sealed module in the lower unit that brings all vital motor components together in one protected location, while eliminating outdated analog circuit boards and their related components. This technology allows you to dial into the precise speed you are searching for, and in turn results in longer lasting battery life. The R5 transom mount features aluminum allow construction with a rugged powder coat finish. Stainless hinges pins provide the ultimate in strength, rigidity and durability. 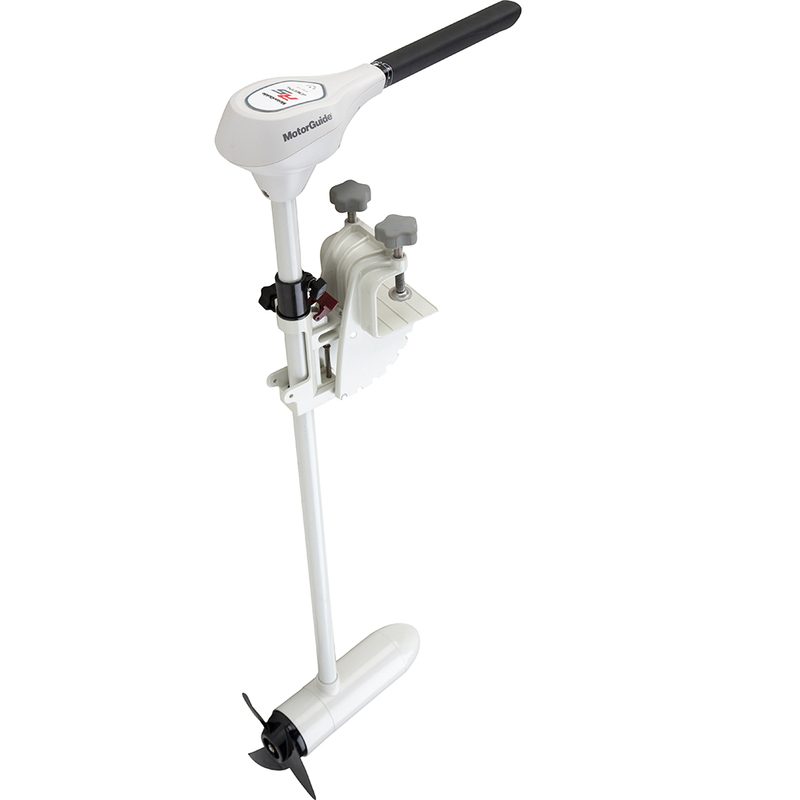 Includes an easy-to-use tilt/stow/deploy mechanism and swing over knobs on the clamp screws, allowing you to lock the motor to the transom.